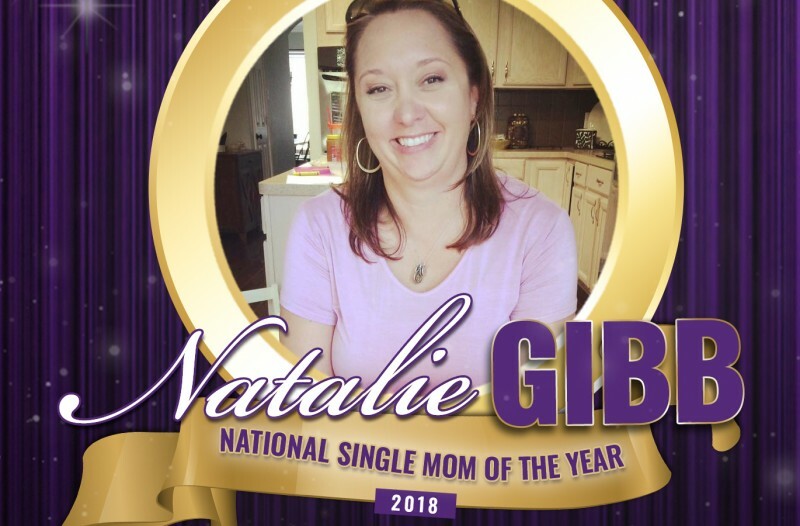 Natalie Gibb of Houston, Texas has been named the 2018 National Single Mom of the Year by The Life of a Single Mom. The independent Judging Committee was comprised of business professionals and single moms who read essays submitted by friends, family, or peers of nominees. Houston, TX, April 25, 2017 – Natalie Gibb, single mom of two children in Houston, Texas received the surprise of a lifetime, when she received answered the phone. Jennifer Maggio, Chief Executive Officer of The Life of a Single Mom, was on the other end notifying her that not only had she been nominated, but had also won, the 2018 National Single Mom of the Year contest. She had no idea she had even been nominated. “I just can’t believe it. I don’t know what to say.” said Gibb. The National Single Mom of the Year launched in June 2014 to recognize single mothers for the hard work they invest each day. Criteria included examples of courage and character, as well as commitment to Christ. Natalie was nominated by a church friend, who detailed Natalie’s journey through the death of her husband and her commitment to her community, including countless service projects, writing, and the launching of a local nonprofit. Award package includes accommodations to the 2018 National Single Mom’s Conference in Houston in June, $500 cash, a makeover, spa products, and various other prizes. Looking for ways to grow as a single mom in parenting skills, financial education, or overall health & wellness? Visit Single Mom University today. The Top 5 National Finalists for the 2018 award include: Natalie Mott of Houston, Texas, Takesha Newsome of Waukegan, Illinois, Maxine James of Belton, Texas, and Adrienne Bourgeois of Luling, Louisiana, and the winner, Natalie Gibb. Headquartered in Baton Rouge, Louisiana, The Life of a Single Mom is a national organization that receives nominees from all over the United States for this award. The organization’s primary goal is in raising awareness in the general public of the challenges the single parent family is facing and developing support groups in communities to create a space for single moms to gather, network, and grow in critical areas, such as parenting, finances, and health & wellness. The organization serves an estimated 71,000 single mothers annually through the support group network, national conference, and online life skills classroom, Single Mom University. For more information, visit www.thelifeofasinglemom.com.